The Complete Full Stack Developer eBook Bundle could launch your next career. Web developers have the power to shape the future of the internet. They create and maintain the apps and services that you count on every day. 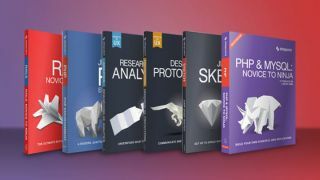 If you want to join the ranks of those important people who help keep the digital world running, then you need to check out the Complete Full Stack Developer eBook Bundle. You can get it on sale now for just $29 (approx. £21)! The Complete Full Stack Developer eBook Bundle is the perfect starting point for any aspiring web developer. This bundle of eBooks will help to lay the foundation for your next career. By working through this bundle of 16 books from SitePoint, you'll learn how to work with the most important languages in web development, including front-end development standards that help strengthen the back-end tech of your sites. You can get the Complete Full Stack Developer eBook Bundle on sale right now for just $29 (approx. £21)! That's a savings of 93% off the retail price for a bundle that will give you a start on your web dev career, so grab this deal today!